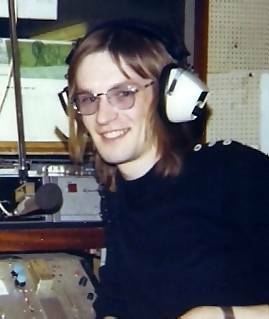 James Kaye An engineer on the mv Mi Amigo, James occasionally broadcast on Radio Caroline. 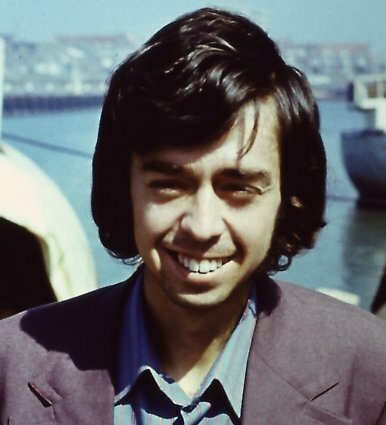 His first show was on 13th May 1978, his last 3rd September 1979. 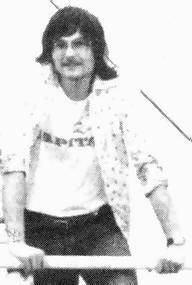 He was also involved in the fitting out of Caroline's new ship, the mv Ross Revenge in Santander, Spain, in the early 80s. 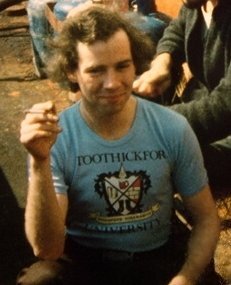 He then worked behind the scenes, organising the supply of equipment to the Ross. This photo was taken by Kees Borell and kindly provided by Stevie Lane. There is a more recent photo, taken at a 2018 DJs' reunion, here. 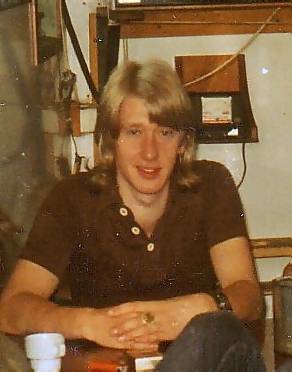 Sadly James died suddenly on 4th February 2019, aged 66. 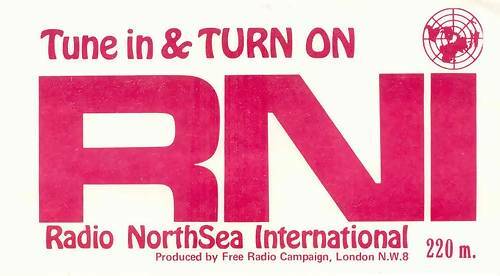 RNI sticker, produced by the Free Radio Campaign.